It’s time to be real here for a minute, my friend. How many loads of laundry do you have in your home waiting to be sorted, washed, dried, and put away? What does your laundry schedule look like right now? Do you have a laundry routine at all? I don’t know about your home, but in our house we used to go on laundry washing binges. The typical scenario went something like this… We’d go days without doing laundry, and then all of a sudden we realize someone’s almost completely out of clean underwear! Suddenly, doing the laundry became a big emergency. So we spent all day doing 10 loads of laundry so we’re not going commando. But once everything’s washed and dried, who has the time (or desire) to fold that massive mountain of clothes? Not me! So it sat in a big pile on the couch or in the laundry basket or on our guest bed. And it became one big clutter-tossing zone. And in the morning, instead of getting clothes out from our closet or dresser, we would sift through the laundry pile to pull out our clothes for the day. And this vicious cycle continued week after week. And those laundry piles? 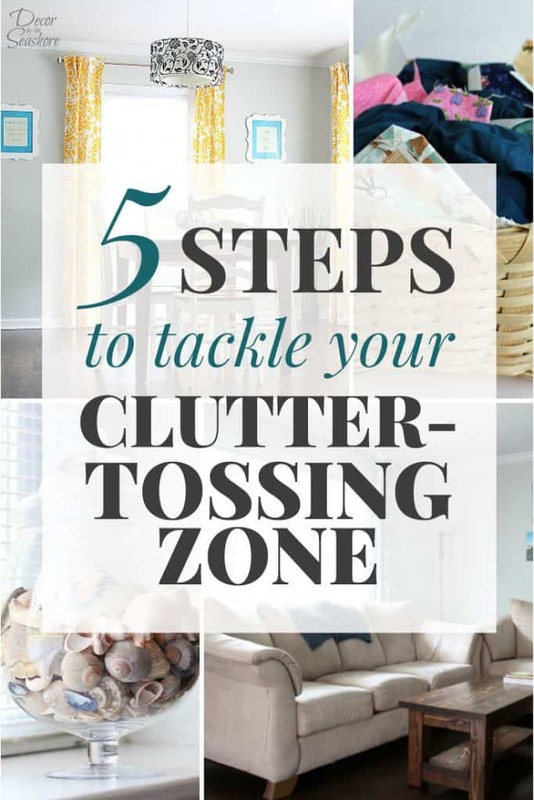 They added so much clutter to our home when I had worked so hard to declutter our entire house! We separate delicates/lights/darks/towels/sheets, etc. into these folding hampers ahead of time so there’s no need to sort through everything when it’s time to do laundry. It’s already sorted, so we can just dump it into the washing machine! Now here’s the most important part of the whole thing… we fold that load of laundry that same day! It seriously takes only a few minutes when you’re only folding ONE load of laundry. And it’s so much easier than letting it pile up and then having to deal with a mountain of clothes. Plus you can easily get it done while you’re doing other things, like watching TV. A Daily Laundry Routine that Really Works! When you wake up first thing in the morning, start the washer. Go about your morning routine, and move the laundry to the dryer when it’s finished. And it’s that simple! One load a day my friend, ONE LOAD! Which means that over the course of a week, you’ll have 7 loads of laundry done without even thinking about it. 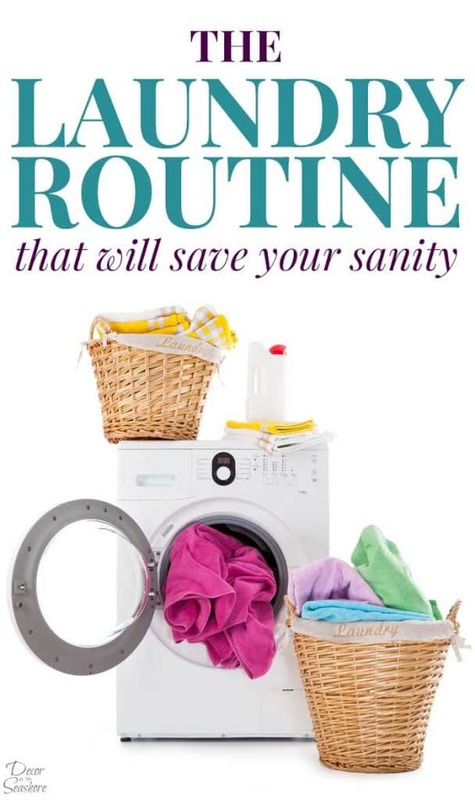 Even better, if you don’t need to do 7 loads of laundry a week in your home, you can always take the weekend off, or do laundry every other day. No more spending an entire day washing and drying and another day folding! No more running out of clean clothes and digging through the dirty laundry to find something to wear! No more mountains of clean laundry sitting for weeks! Do you have a large family? Are you a working mom? The best part of this routine is it works for all sizes of families and working parents alike! I really hope you’ll give this easy laundry routine a try in your home. Don’t waste entire days doing nothing but laundry. A little here and there makes all the difference in the world! 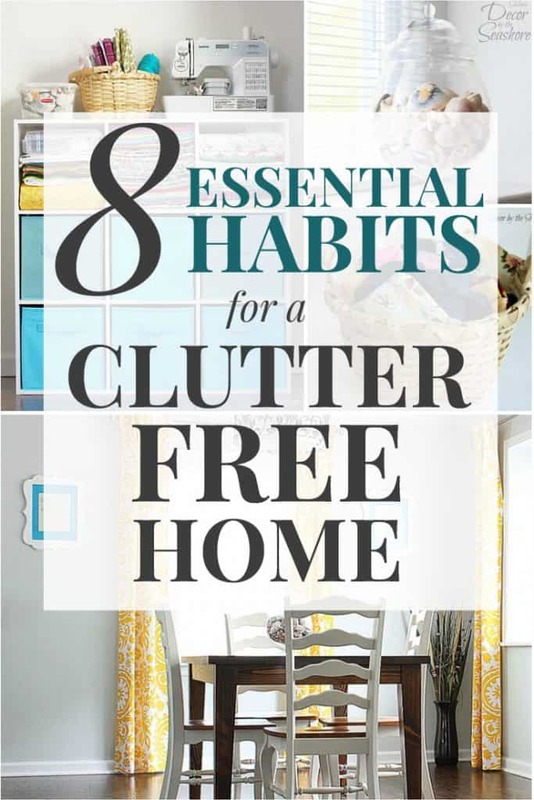 Plus, it drastically cuts down on clutter piles in the home. And I don’t know about you, but in our home no laundry piles makes for a much more relaxed mama! Enjoy this post? Be sure to pin it for later so you can easily refer back to it! And don’t forget to share it with friends and family on Facebook who could use the help with their laundry routine, too! Happy washing, friend!